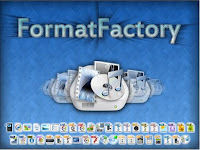 Format Factory Download If you are in search of a good converter the Format Factory is an option that you must take into account, since it is one of the best converters at the multimedia level. 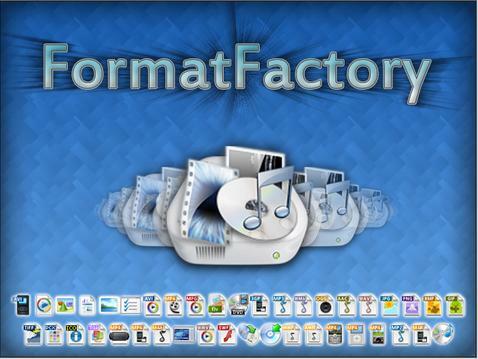 The Format Factory being a multifunctional converter, can convert different formats audio or image without having to resort to other sources. For example if you have music files you can go to WMA; AMR; OGG; AAC; WAV. The video to 3GP, MPG, AVI, WMV, FLV, SMF, MP4. The image to TGA, GIF, TIF, PNG, BMP, JPG. Not only that, it also allows you to repair damaged files, reduce the size of your audio and video files, as well as rip DVDs and CDs. In addition you can improve or worsen the quality of multimedia files like videos, images or audios. The Format Factory can additionally split the DVDs so that each video is a separate file and is easier to select.